We’ll be starting a Western US & Canada tour this coming Monday. 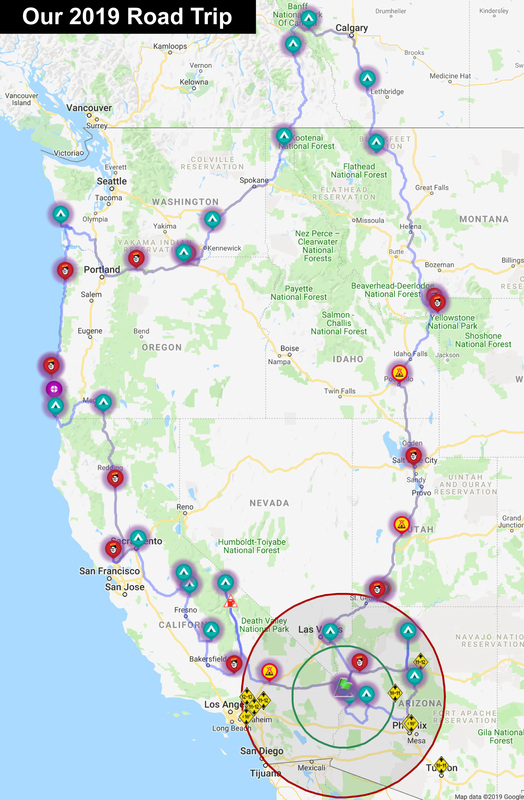 As of now, it looks like we’ll stay at about 40 campgrounds in Arizona, California, Oregon, Washington, Alberta, Montana, Wyoming, Idaho, Utah, and Nevada. Highlights of our trip over the next several months will include . . .
Yeowza, have loads of fun! Wow! Awesome trip ahead for you and I know we’ll get to see some awesome pics. Enjoy your posts a lot, keep ’em coming please. Tx! We starting rolling on Monday.